Refined deodorized bleached winterized sunflower oil manufactured from the raw materials of sunflower without chemical treatment. The sunflower oil has a lot of useful substances and vitamins: A, D and the main part contains vitamin E, vegetable fats, accelerating the metabolism and strengthening immunity. Refined sunflower oil uses not only for cooking and for baking products, also it is uses in salads or side dishes. 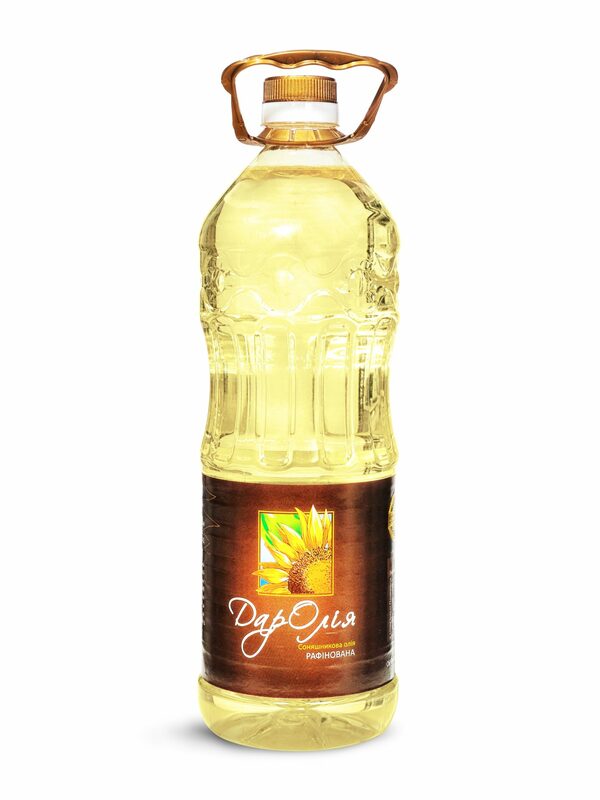 The products is packed in PAT bottles of different volumes: 840 Ml, 1 L, 1,8 L, 3 L, 5 L. Every bottle of sunflower oil has its own a unique engraving comfortable handle and design. Easy to use and storage. On the label indicated the composition, nutritional value of the product and the manufacturer’s coordinates. Material - laminated carton. Differs high strength and density. Used to better safety of the goods. Standart - 6 pcs in box. Number of boxes in the container - 2425 psc. Number of bottles in the container - 14550 psc.